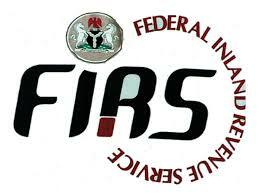 The Federal Inland Revenue Service (FIRS) has written to banks, directing them to lift the lien on tax defaulters’ bank accounts for 30 days following outrage by Nigerians and industry experts. The directive, which takes immediate effect, was contained in a letter from the Chairman, FIRS, Mr Babatunde Fowler to bank Managing Directors. FIRS made the announcement in a statement posted on its official Twitter account on Friday night. The income generating agency explained that it issued the directive because of the large number of taxpayers, who have besieged itself offices in their bid to regularize their tax positions and the inconveniences they are going through. KPMG had on Thursday stated that FIRS gone draconian by giving fiats to banks to freeze accounts of suspected tax defaulters. In a statement, KPMG said: “Nothing in the CITA or FIRSEA authorises the FIRS to impose a freeze order on a taxpayer’s bank account beyond the amount of tax proven to be due and payable by that taxpayer”. It added that the move was in contravention of CITA, and breaches the confidentiality between the banks and their clients. “Generally, a bank has a fiduciary obligation to maintain the confidentiality of its customers and their transactions, and to prevent third-party access to the customers’ account information,” KPMG added.